There is an ancient linkage between man and elephant. No other animal like the elephant has had such a close relationship with the people of Sri Lanka. Elephants were caught, tamed and used in numbers for large scale and massive construction work. However, today, people aren’t connected with jumbos as muchand get irritated when they hear the word ‘elephant’. It’s absolutely essential to analyse as to why the association between elephants and humans eventually became negative. Elephants, being the largest terrestrial herbivores, require relatively larger areas and diversity of environments to survive. However, with the increase in the human population and changes in pattern regarding land-use, the elephant habitat is being reduced. 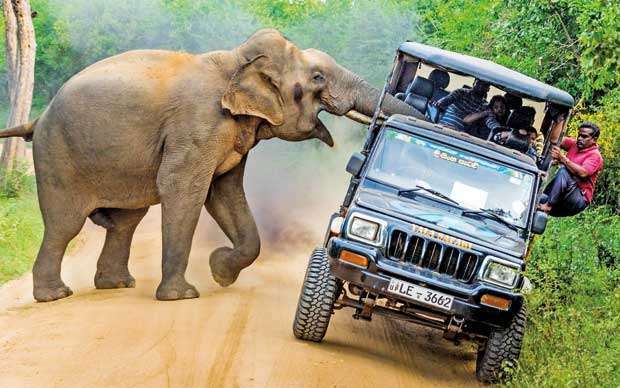 Consequently, the majority of the present day jumbos have got used to encroaching into the human habitats, which has resulted in a conflict with humans. These elephants cause vast damage to agriculture, properties and even bring death to humans. It is unfair to palm the blame on both the elephants and the humans in this regard. 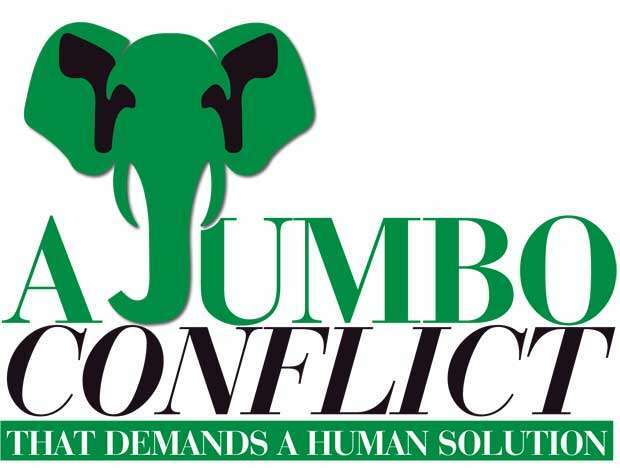 What is required is to find pertinent solutions to put an end to this Human-Elephant Conflicts (HEC). This conflict has created a vicious cycle of violence. Between 50 -80 humans and between 150 -200 elephants are killed annually due to the HEC. Even President Maithripala Sirisena has raised concerns in this regard and said that this is an issue that demands an effective solution. 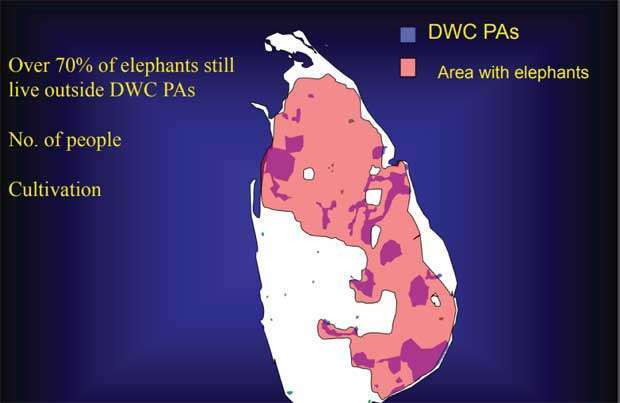 One-hundred years ago, more than 20,000 wild Asian elephants inhabited Sri Lanka. Today, elephants are restricted to the lowlands, especially the Dry Zone. The Department of Wildlife Conservation recognises that about 70% of the elephant’s range lies outside the system of national parks and nature reserves. The number of elephants in Sri Lanka today is but a fraction of what existed about 100 years ago. 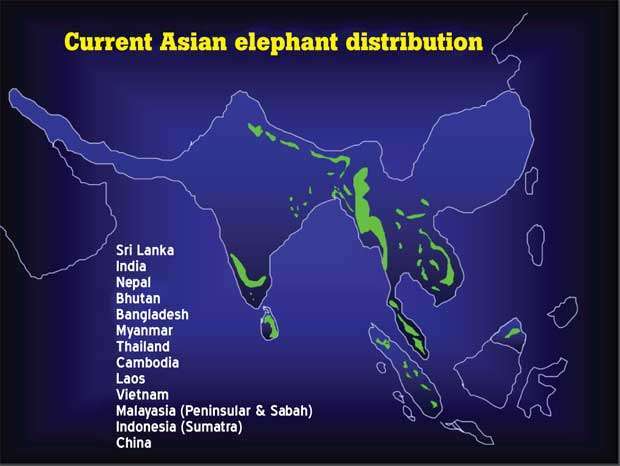 Different figures were given by different people regarding the number of wild elephants. 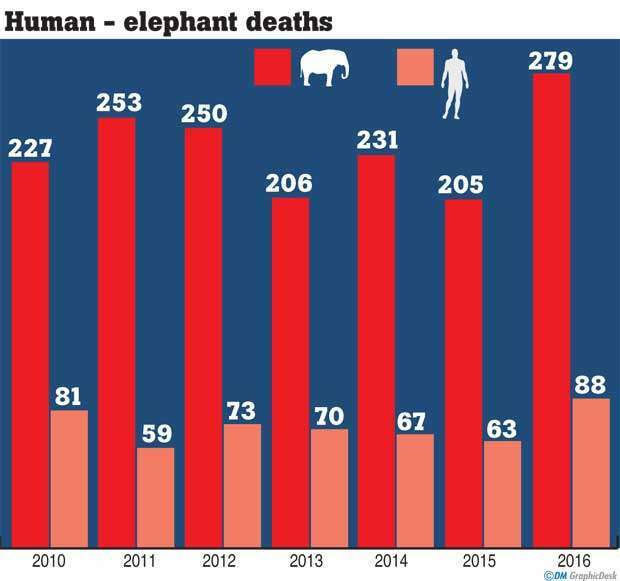 According to an expert on elephant and biodiversity, Elephant Conservation Trust Chairman Jayantha Jayewardene the population of elephants today numbers 5,000-5,700. Speaking to the Daily Mirror, he said that the Asian elephant should be a protected animal as it is categorised as ‘Endangered’ in the International Union for Conservation of Nature (IUCN) Red List. The human-elephant conflict is one of the biggest environmental and socio-economic crises of rural Sri Lanka. The conflict has escalated in the recent past. 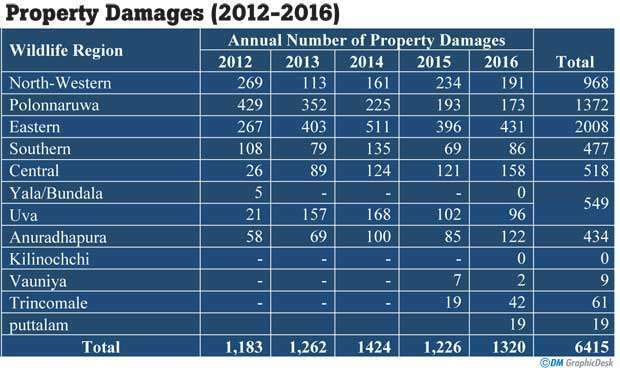 During the past 12 years alone, a total of 1,464 elephants were killed while 672 humans became victims of elephant attacks.Deputy Minister of Sustainable Development, Wildlife and Regional Development Palitha Thewarapperuma said that the HEC initially started due to people putting up dwelling in the places which originally were owned by elephants and other animals. 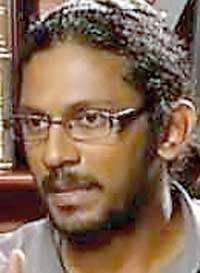 “Those environmentalists, who make accusations saying that the authorities have not taken adequate steps to find remedies to this conflict, have not recognised the nature of this issue and have no knowledge of the gravity of it,” Thewarapperuma argued. Meanwhile, Jayewardene said that the electrical fence was not an effective method to prevent elephants from entering the human habitation. “The elephants are wise beasts unlike other herbivorous animals. They are well aware as to how they should get rid of this fence. 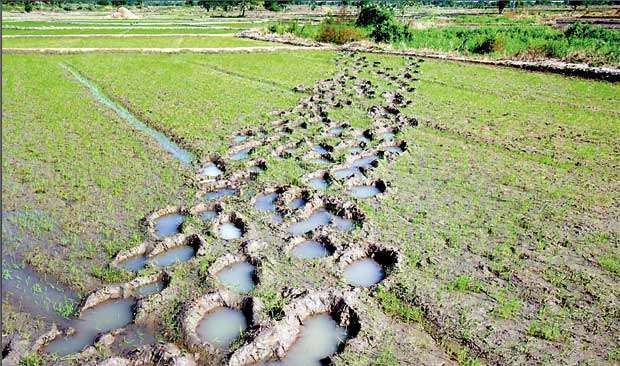 Therefore, what should be done is to dig a drain along the location of the electrical fences,” Jayewardene said. What have the authorities done? Thewarapperuma said that this was not an issue that could be resolved in a hurry and added that this problem has existed for 75 years. “I presume that it would take another 10 or 15 years to sort out this conflict completely. However, we are very keen on this issue and still working on it to solve it,” added Thewarapperuma. With this conflict intensifying, we have been witnesses to incidents involving jumbos where humans became victims. During such incidents the Government provided Rs. 500,000 as compensation to the victims’ families and in addition to the Rs.50, 000 given to bear the funeral expenses. Establishment of new National Parks and increasing the size of conservation areas. Establishment of elephant corridors – to allow the safe passage of elephants from one habitat to another. nSynergising elephant conservation with economic development. 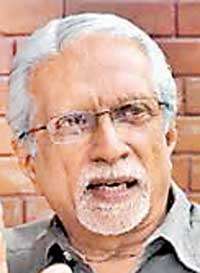 "The organisations urged Wildlife minister in office Field Marshal Sarath Fonseka to look into this issue and take pertinent actions to suspend the proceedings of the proposed plane that would not be an effective tool to put an end to the HEC"
The plight of the small and marginal farmers is miserable, as evident from reports relating to suicides. Many are in deep debt and are unable to move out of their poverty vortex. We have witnessed some heart-breaking incidents where children and adults were killed by elephants. 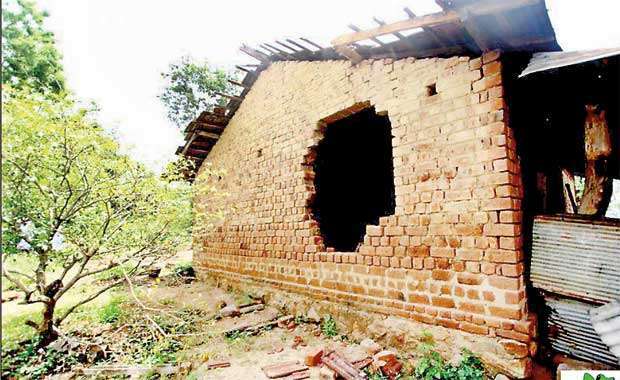 Jayewardene said it was perhaps hard to estimate the damage done by the elephants to people’s properties. Several groups comprising environmentalists said that the Elephant Conservation and mitigating the Human Elephant Conflict through a Government initiative was not practical. Organisations like Centre for Conservation and Research, Centre for Environmental Justice, Elephant Forest and Environment Conservation Trust and Biodiversity and Elephant Conservation Trust etc, raised concerns over this unsuccessful move by the Government. It is in contravention to the National policy for the Conservation and Management of wild elephants. This would never help in finding solutions to the HEC and would rather worsen the HEC because it is so unrealistic and against scientific methods,” Lahiru Prakash said. The organisations urged Wildlife minister in office Field Marshal Sarath Fonseka to look into this issue and take pertinent actions to suspend the proceedings of the proposed plane that would not be an effective tool to put an end to the HEC. Species Conservation Centre Chairperson Pubudu Weeraratne said that the conflict had arisen on account of the lack of National Land Use Policy in Sri Lanka. 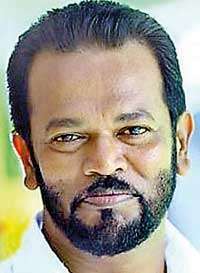 The people living in elephants dwelling areas should not send cows to the jungle to eat grass because it would make the elephants come to the living areas of people in search of food” Weeraratne said. Nevertheless, Jayewardene said that the Government should consult the experts of animals and get the necessary pieces of advice to address this issue.